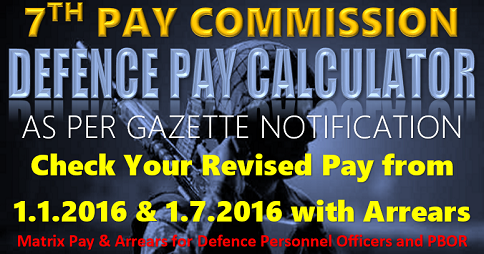 The much-awaited 7th Pay Commission report was submitted to the government last Thursday. The 900-page long report was perused swiftly within a day or two and criticisms have already started coming. The very next day of submitting the report, M. Krishnan, the Confederation Secretary, gave a scathing criticism. “No other Pay Commission had submitted such a terrible report,” he said. At the very beginning of the press release, he had mentioned that the backward mindset of the recommendations of the Pay Commission have been a huge disappointment for the Central Government employees. Contrary to all the wild speculations, a raise of only 14.29 percent was finally given to the Central Government employees. This increment is akin to two installments of the Dearness Allowance. He has strongly stated that more than 50 lakh Central Government employees and Defence Personnel have been cheated. The 6th Pay Commission recommended 10 percent, 20 percent, and 30 percent House Rent Allowance for ten years starting from 01.01.2006. The intention behind reducing it to 24 percent, 16 percent and eight percent was not explained. Despite being very well aware of the fact that the recommendations will be in effect until 2026, the fact that the Pay Commission had tried to reduce the allocation has left the Central Government employees greatly disappointed. MACP Promotions: Among the biggest disappointments of the 7th Pay Commission report is the fact that promotions, which are given once every ten years, so not earn any substantial benefits for the employees. They stand to gain only 3 percent hike. Another painful observation is the fact that the gap between Grade Pay 2800 and 4200 has been completely reduced. The next big disappointment is the method of calculating the dearness allowance. This was one of the much-anticipated parts of the report. There is no clear explanation as to the reason why changes had to be made in the CPI IW BY 2001=100 method, or the 115.76 Factor. On top of it all, the commission has introduced a new “Pay Matrix.” Our expectations of a detailed explanation about it were never fulfilled. 3 percent of the amount has been rounded off and given for each CELL. In short, the 7th Pay Commission report is on the receiving end of lot of criticism. Central Government employees are now hoping that the Centre would intervene and do something positive for them. the civil diploma holders are directly placed in Pay band – 2 with a Grade pay of 4200/- rupees. This is totally injustice with the technical airmen. picture will be cleared to all of you. 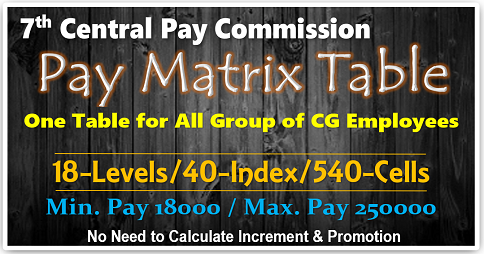 SGT in 6th Pay Commission (fact but true) :-5200- 20200 with a Grade pay of Rs. 2800.
union. Even some of their fundamental rights are restricted. Please think for them also. They also need to be looked after. Is there anyone who is listening? The world is watching at us! 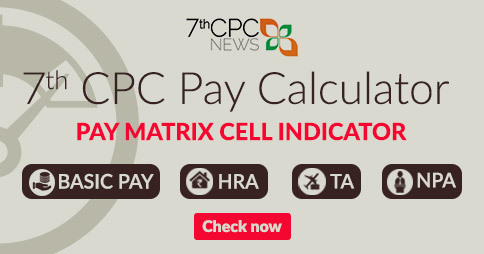 In a nutshell, 7th Central Pay Commission is a fraud imposed upon the CG employees. They, in their turn, should forget their ideological variance and unite as one unit and fight for the injustice meted out to them. United we stand, divided we fall. 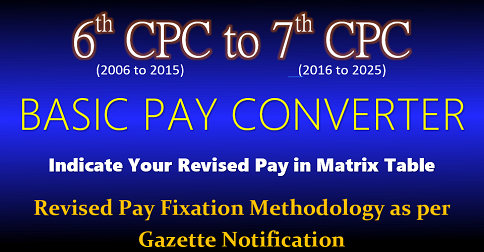 7th cpc recommendations will only be implemented after all cases of pre-2006 pensioners are finalised, said sr pay & accounts officer, cpao. most of such cases have yet to be settled. would cpao sr accounts officer shri vijay singh take stock of such pending cases so as to ensure these are finalised soon. 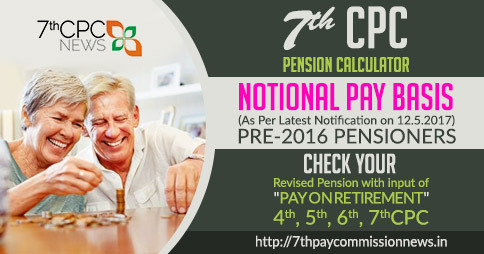 7th CPC recommendations will only be implemented when pension cases of pre-2006! 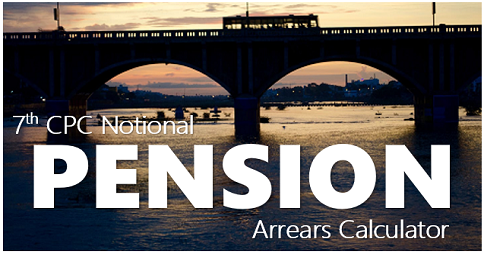 pensioners are completelt settled, said Sr Accounts Officer, cpao. His letter dated 30.10.2015 refers. But most pensioners are yet to receive revised ppo’s. 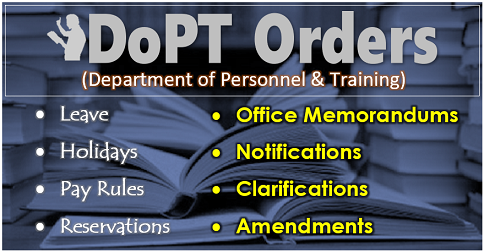 Woulf Sr Accounts Officer,Shri Vijay Singh, cpao take stock of such cases an ensure that these are finalised soon. THE ENTIRE TEAM OF 7TH CPC SEEM TO TO TOTALLY SADIST, DISGRUNTLED AND ENEMY OF THE CENTRAL AND STATES GOVT. EMPLOYEES. IT SEEMS THAT THEY DO NOT WANT PEACE IN THE THE COUNTRY AS ALL THE EMPLOYEES ARE PLANNING TO TAKE ALL POSSIBLE EFFORTS, WHATEVER MEANS THEY HAVE TO ADOPT TO SEEK JUSTICE. IT IS WORTH NOTICING THAT FOR THE HIGHEST POST THEY HAVE RECOMMENDED MULTIFICATION FACTOR 2.78, THE HIGHEST, WHERE AS ALL OTHER POSTS INCLUDING THE LOWEST ONES, IT HAS BEEN RECOMMENDED 2.57. FOR EVEN OTHERWISE, THE COMMISSION HAS RECOMMENDED THE REMUNERATION IN LACS FOR THE POSTS OF COMMISSION CHAIRMEN AND EQUIVALENTS. FURTHER, THE COMMISSION FEELS THAT THEY HAVE RECOMMENDED INCREASE OF PAY BY 23.55% WHICH ACCORDING THE CHAIRMAN MUST NOT BE MORE THAN THIS.. HE SEEMS TO BE NOT KNOWING THAT AFTER ADDING 125% DAY THE BASIC PAY, IT BECOME 225%. THE COMMISSION HAS INCREASED THE BASIC PAY BY 235.5%. THUS IT MEANS THE COMMISSION HAS ACTUALLY RECOMMENDED 235.5-225=1O.5% and not 23.55%.